We like to think of ourselves as having a global reach, both as garden designers and as horticultural educators, with clients and students located throughout the world. I have long maintained that a well-trained gardener can practice his craft anywhere and is able adapt to local conditions. I still believe this to be true, but have on occasions been stopped in my tracks by comments from home-grown amateurs or professionals. 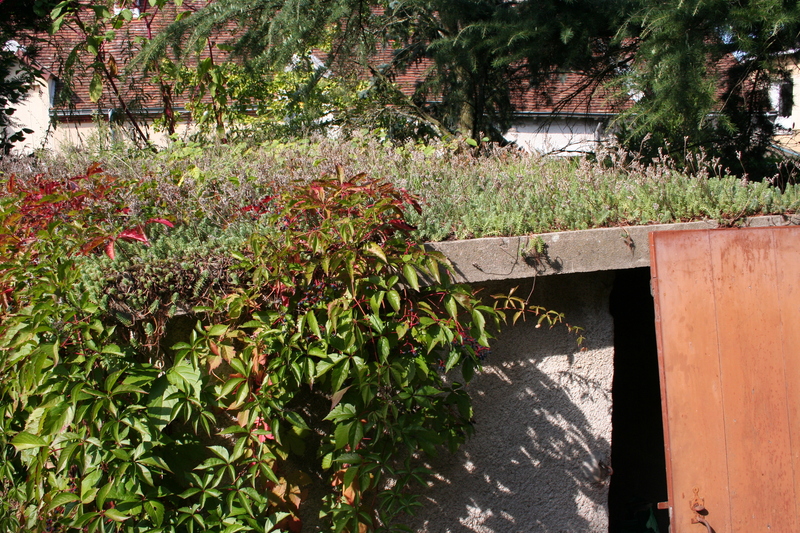 gardening, suggesting a reference book I thought might be useful to an American garden designer, while innocently mentioning our own green roof here in France. We have covered the top of a concrete tool shed with Sedum and it does very well, as does the Virginia creeper, Parthenocissus quinquefolia, which offers a change of leaf scale and gorgeous autumn colour. Insects are pleased with both plants and the combined effect is both attractive and practical. 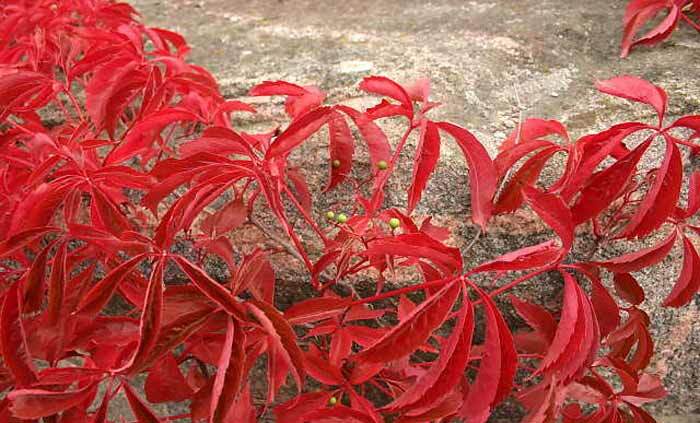 “Virginia creeper”, I was told, “is invasive”. I quite fancy myself as a plantsman but here is an aspect of plant selection it would be easy to get wrong; designing a border in a foreign country could get you into hot water, when your favourite flower turns out to be the bête noir of local environmentalists! In the USA the National Invasive Species Council keeps a watchful eye on these things and their web site links to pages dedicated to each State, detailing the noxious weeds which are a problem around the country. There is a Federal List noting those considered noxious throughout the country and in addition each state has its own list. And what a range of plants! Across the country 106 plants are prescribed in this way, while California lists 242 on its own. 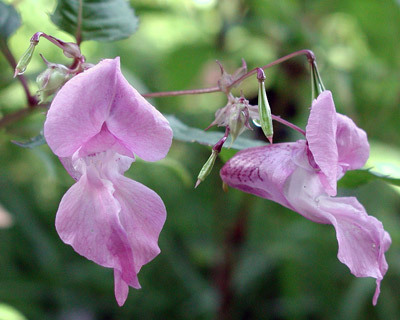 The UK has problems with Rhododendron (Rhododendron ponticum), Indian (Himalayan) balsam, (Impatiens glandulifera) and Japanese Knotweed (Fallopia japonica) famously causing difficulties in the wild. 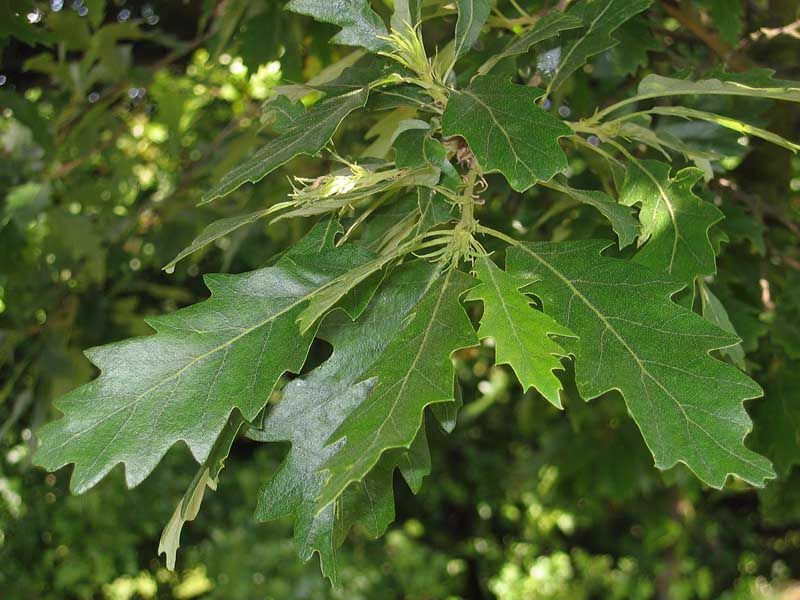 The UK organisation Plantlife has a substantial list which, like those in the States, contains some surprising plants including Ailanthus altissima, Quercus cerris and several Cotoneasters. while the Oak woods are taken over by Robinia pseudoacacia originally grown for vineyard support posts. The story does not end with plants. Hornets accidentally imported from China in garden pots are currently finishing off the honey bee population, already under pressure from disease and agricultural pesticides. In the Canal du Berry which follows the river, American signal crayfish are decimating young fish and imported Coypu undermine the banks. Gardeners and landowners are largely to blame and it would seem we have to be much more circumspect in the choices we make. I have noticed a tendency of many of my American students to select native plants so perhaps the message has got through over there and it is we Europeans who need to learn the lessons. 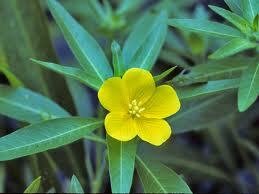 One country’s weeds are another’s prized specimens. For the record, when I design a garden in another country I either use a local plant expert to assist with plant availability and desirability or research the issues myself using local gardening associations, university horticultural departments, growers and other sources. That way I am less likely to make a fool of myself by suggesting inappropriate plants. It’s not always straightforward, being a globe-trotting landscaper, but I am glad I am still asked to work around the gardening world.